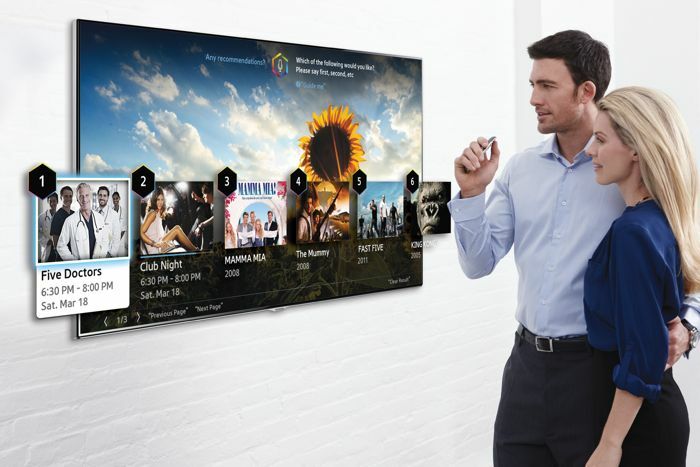 Samsung has announced that it will show off its new 2014 Samsung Smart TVs at CES 2014 next month, which takes place between the 7th and 10th of January. The new 2014 Samsung Smart TVs will come with a range of new features, with a new motion control called ‘finger gesture’ which will allow you to control the device with gestures. Thanks to ‘finger gesture,’ users can change the TV channel, adjust the volume, find and select what they want to watch just by using their fingers. They can also go back to the previous screen and stop the video by motioning their finger counterclockwise – a more intuitive way to control the TV. Samsung will also be expanding the Voice Interaction features on their new 2014 Samsung Smart TVs to a total of 23 countries around the world. We will have more details about the new range of 2014 Samsung Smart TVs next month, although you can find out more details at the link below.